Many students who are deaf or hard of hearing need an educational interpreter to obtain access to classroom curriculum equal to that of their hearing peers. However, if the educational interpreter is not qualified, the student will not be able to receive equal access. 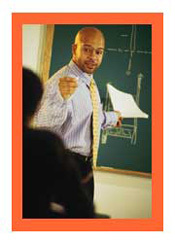 This section of classroominterpreting.org helps describe the importance of a qualified educational interpreter.